Visiting the Golden Triangle in India is the most efficient way to see the most of the country in the shortest amount of time. Within a small radius, tourists can experience three cities of varying culture and get a taste of three very different and distinct sides of the country. Within the Golden Triangle India’s bounds, visitors will see temples, palaces, and stunning examples of Mughal architecture. 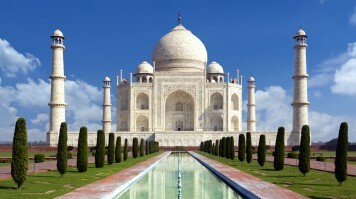 A Golden Triangle tour is the best way to glimpse authentic India. Keep reading to find out everything you need to know. 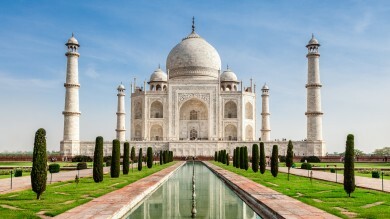 The Golden Triangle is a 720m circuit that connects three important cities in India: Delhi, Agra, and Jaipur which showcase the country’s diverse landscapes, culture, and history. The shape that the three cities makes, and the light amount of travel required to reach each destination is what’s earned this popular tourist route its name. Recommended duration: Each leg of the journey is roughly between 4 to 6 hours. One full week is recommended to fully experience each city. Start/end location: Delhi is the typically starting point, with Agra and Jaipur following respectively. The end point is again in Delhi. Best time to visit: October through March for the driest, warmest, and sunniest weather. As the heart, soul, and capital of India, this city is a melting pot of old world beauty, new age technology, and everything in between. Historical monuments, rich culture, and religious diversity make Delhi one of the most fascinating and stimulating cities in the country. Divided into New Delhi and Old Delhi, this city offers visitors a unique look into the many different layers of one of the world’s most complex countries. 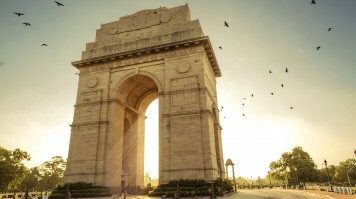 No wonder, the city is one of the three points of the Golden Triangle India. The Red Fort in Old Delhi and its eerie method of construction — the decapitated bodies of prisoners were built right into the building’s foundation! Humayun’s Tomb, a mid-16th century tomb is thought to have inspired the Taj Mahal. 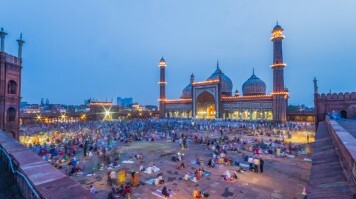 Jama Masjid, located in Old Delhi, is India’s largest and most stunning mosque. It can accommodate up to 25,000 people. Qutb Minar complex, Delhi’s most impressive ancient ruins and UNESCO World Heritage Site, built out of red sandstone in the 13th century. The stark contrast between different sections of the city. In one day, you can see the ancient ruins and antique way of life as well as the more modern, high-tech, concrete jungle of Gurgaon, Delhi’s impressive satellite city. Gurgaon boasts more malls per square mile than anywhere else in the country. The diversity in Delhi is extreme! Delhi is one of the world’s most polluted cities. The lack of hygiene seen on the streets — it’s completely common to see stray dogs and cows chewing on plastic and people digging through landfills of garbage. The home of the world-famous Taj Mahal, it’s no wonder tourists from all over the globe flock to Agra. While this structure is definitely the main attraction, Agra offers plenty more in terms of historically significant landmarks and attractions. The Taj Mahal is every bit as spectacular as you’ve heard. It’s definitely the city’s biggest and brightest tourist attraction. Agra’s location on the Yamuna River makes it extremely picturesque. 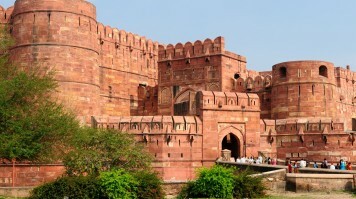 Agra Fort, made from a striking combination of red sandstone and marble, is one of the finest Mughal forts in India. The bustling bazaars, many of which are located behind Jama Masjid (different mosque of the same name as the one mentioned above under Delhi). This is the place to shop jewelry, textiles, spices, marble work, and a whole lot more. Overly persistent street vendors selling souvenirs and tours can be an annoyance. Traffic is heavy and causes a lot of congestion. Here you’ll find the country’s best examples of Rajasthan architecture, an ancient 6th century style inspired by Hindu, Islamic, and colonial influences. This city is steeped in history as well as chaos, creating a type of culture that enthralls all visitors. 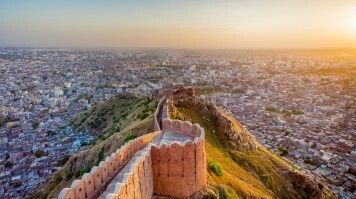 Jaipur, also known as the Pink City, is one of the most cultural and beautiful cities in India. The people of Jaipur reflect this sentiment and are said to be warm, friendly, dress in beautiful colors and hand-carved jewelry. The City Palace, located in the center of the Old City, is the current home to the former royal family and an outstanding example of Mughal and Rajasthani architecture. Hawa Mahal is Jaipur’s most iconic landmark. Pink in color and intricately layered in design, this 18th century structure is one of the city’s true marvels. 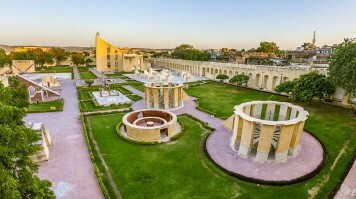 Jantar Mantar, an observatory built in the 18th century, is used to measure the heavens with 20 astronomical instruments. The bizarre looking structure is best toured with a guide who can explain the purpose of each architectural aspect. Public transportation is not the easiest system to navigate here. The bus routes are limited and there is a lack of bus stops. It’s very over-polluted, so take ample precautions. The best way to travel around the Golden Triangle is by car, bus, or train. Renting a car for one week in India runs between USD 250 to 350*, depending on the car selected. It’s easy and cheap to hire a driver too. Given the crazy driving and lack of traffic rules, it might actually be better to let a local do the driving anyway! The price of the car rental plus driver is determined by several factors: size of the car, if the driver can speak English, and the kilometers driven. Prices will vary, but for a medium-sized car the minimum daily rate is around USD 50 to 60 per day. This equals out to roughly the same weekly rate as renting a car without a driver. Taking a bus or minivan between the three cities is another option. Depending on the type of bus, you could pay anywhere from USD 7 to 16* for a one-way ticket. Train tours exist and vary by length and cost. Prices are available upon inquiry to India’s railway website. Day 1: Start in Delhi. Visit Humayun’s Tomb, Qutb Minar Complex, and the Red Fort. Spend the night in Delhi. Day 2: Continue exploring Delhi. Take a walking tour of the Old City, explore the Jama Masjid, and experience the intensity of Chandni Chowk square. Spend the night in Delhi. Day 3: Travel to Agra. Visit the Taj Mahal and Agra Fort, located just 2 kilometers from one another. Spend the night in Agra. 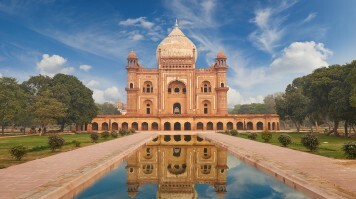 Day 4: Visit Akbar Mausoleum, the impressive marble tomb of the great Mughal Emperor. Shop the markets, especially the famously busy and bustling Kinari Bazaar. Stroll along the river for amazing photo ops. Spend the night in Agra. Day 5: Travel to Jaipur. 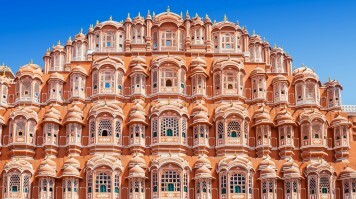 Tour Hawa Mahal and the City Palace on the first day in the city. Spend the night in Jaipur. Day 6: Take a guided tour of Jantar Mantar. Shop more bazaars for authentic souvenirs, jewelry, and textiles. 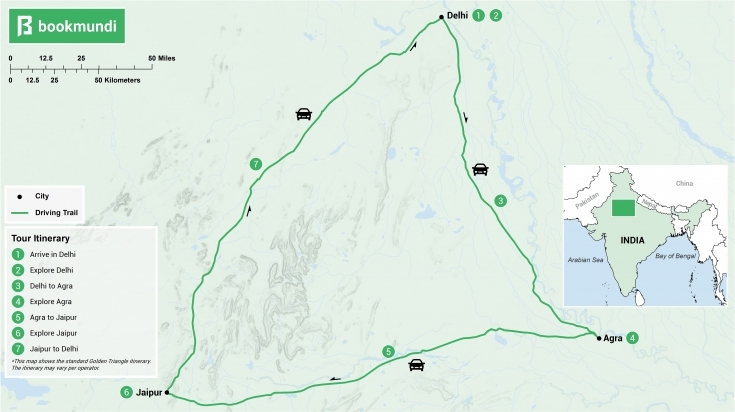 Day 7: Travel back to Delhi to complete your circuit. Booking a Golden Triangle tour package with an organized agency will leave the navigating and planning in the hands of someone else while you travel in comfort. Tour packages usually include transportation, hotel stays, and several daily activities. Meals and extra excursions are not always included, so be sure to check the fine print before booking. The cost varies depending on length, but a fair price runs between USD 800 to 900*. 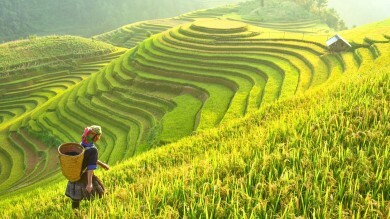 There are a variety of Golden Triangle tours to choose from depending on how much time you have. Many follow a 5 to 7 days itinerary with 1 to 2 nights spent in each location. Delhi is the typical start and end point, but the first destination you visit after Delhi (either Agra or Jaipur) may vary. Escape crowds by visiting attractions in the early morning or late afternoon. Book your bus, train, or car in advance. This is a popular tourist destination and tickets can sell out quickly. Don’t drink the water from the tap. Buy bottled water or use water purification tablets. If you’re traveling by train, consider hiring a porter. The stations can be overwhelming, so having a local navigating the system and carrying your heavy bags could be a great help. Dress appropriately, nothing too revealing when entering a mosque or a temple. Carry a shawl in your bag; it will come in handy! Go with the flow! Don’t fight the culture, way of life, or pace of daily routine. 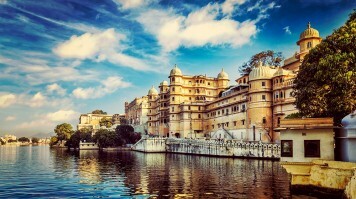 Visiting these three cities allows for an unparalleled glimpse into what northern India is all about. While it may not be the easiest country to travel, it’s more than worthwhile thanks to the abundance of mesmerizing sights and ancient attractions. 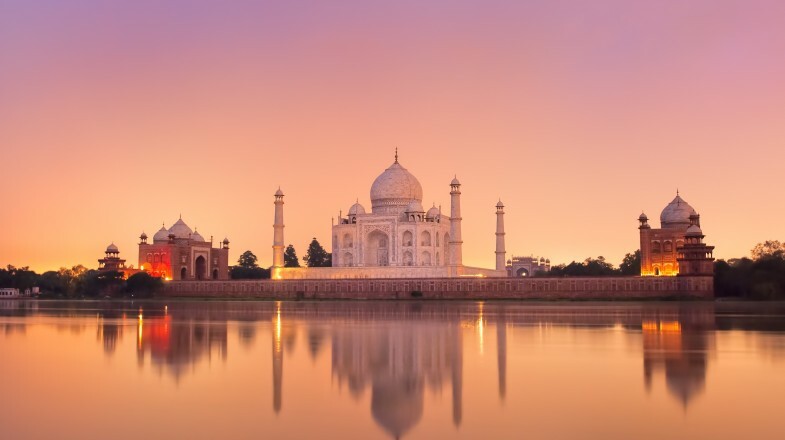 There will be times you’ll have to contend with crowds, change your plans, or temporarily adjust your lifestyle when traveling the Golden Triangle India. However, some of the best travel stories are bound to come out of an adventurous trip like this. A Golden Triangle tour is sure to be a life-changing journey!